Devesh Srivastava got into the front seat of the luxury car with a great deal of satisfaction. The task he had wanted to accomplish had been completed better than he had imagined. Savouring the sweet taste of success, he had decided to leave with his two friends, Manas and Vivek (*names changed to protect privacy). Manas was at the wheel while Vivek stretched himself in the backseat. Devesh was on the verge of taking charge of his father’s company, N S Corporation, a talc mining firm which started with less than 25 employees in 1953. In the 40 years of it’s existence, the company had grown into the largest producer of talc ore in the present-day Uttarakhand state of India. Devesh’s plan was to make it the leading producer and exporter of high quality talc in the country with distributors in all states. 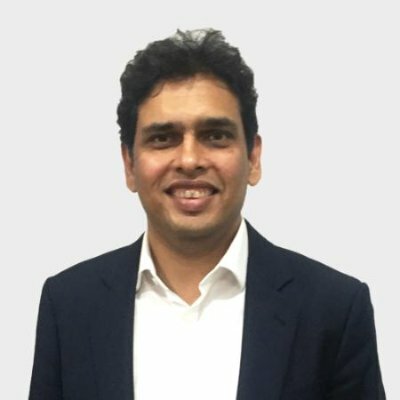 Having been educated in the highly reputed Delhi Public School (R.K.Puram) and the St. Xaviers College (Calcutta), he knew that he had it in him to achieve his dream. A glimpse of the kind of roads one encounters in these regions. It was November 1994 and the chill descended very soon at Almora. Devesh gratefully turned on the heater in the car to complement the warmth of satisfaction he felt within himself. It would take more than 3 hours to cover the 90-odd kilometers between Almora and Haldwani (where the NS Corporation’s administrative office was located). 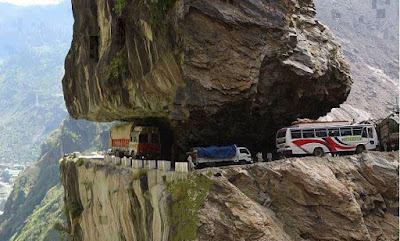 That was because the roads in these mountainous regions were all narrow and curvy. Even an average speed of 30 km/h could be considered as good progress! “Watch the road Manas! In your hurry to take us to the next town, don’t take us to the next world!” Vivek quipped. “Back-seat driving as always Vivek! Just relax. I have got it all covered.” Manas replied. 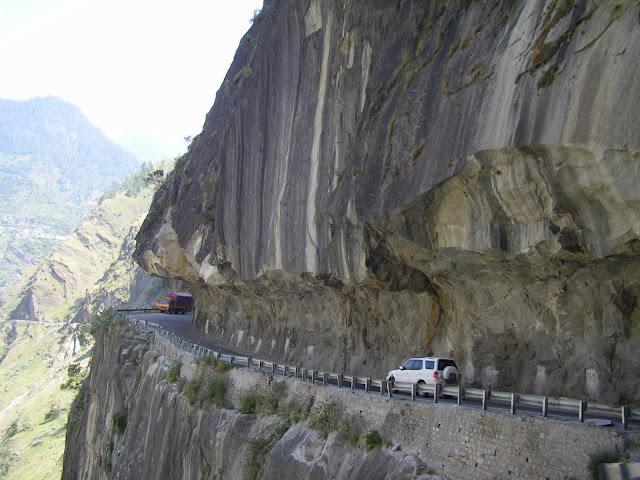 A steep curve to the left was coming up ahead and Devesh felt that Manas had not slowed the car enough to navigate it safely. Manas seemed to sense his unease and indicated to him to relax. With the panache of a Formula-1 driver, Manas went to the extreme right of the road to give himself greater room at the curve. He knew that there was a deep ravine on the other side. But this would only be a momentary manoeuvre. Like life, these roads also take many unpredictable curves! The horror of his mistake hit him only when he was actually making the curve. What he thought was a C-curve had turned out to be a U-bend! Instead of a 90-degree turn, he had to make a 180-degree turn but he was going too fast. The car would inevitably plunge into the gorge! “Bachao (Save us)!” Devesh screamed as he grabbed the wheel to turn the car around. He knew the it would all be over in a matter of moments now. They say that thoughts run very fast. But the crash happened even before Devesh could think much. The car skidded and swirled crazily and almost drove off the road. However, the momentum was abruptly arrested by a solitary tree which prevented the car from plunging into doom into the ravine below. The sound of the crash was sickening for Devesh. Before he knew it, he was covered in blood and glass pieces stung his face like a billion needles. He could not open his eyes for blood flowed like water over his face. He screamed in terrible pain and knew that death would come soon. Lying there in a pool of blood, his mind flashed-back to his life thus far. It is an interesting observation that when things are going fine, we tend to think about the future, planning for things we wish to achieve. But when things go terribly wrong, we reminisce the past, fondly remembering the things we are going to lose! Devesh saw his entire life from his childhood fast-forward before his closed eyes. The fast-playing ‘film’ slowed down only when he thought about the present condition of his family. What was the reason behind such a thought that concretised itself into a resolve to live at a time when Devesh was ready to face the inevitable end? A quick peep into his family’s past is necessary here. Devesh was the scion of the notable, well-connected and influential Srivastava clan. His mother’s side of the family was equally illustrious. 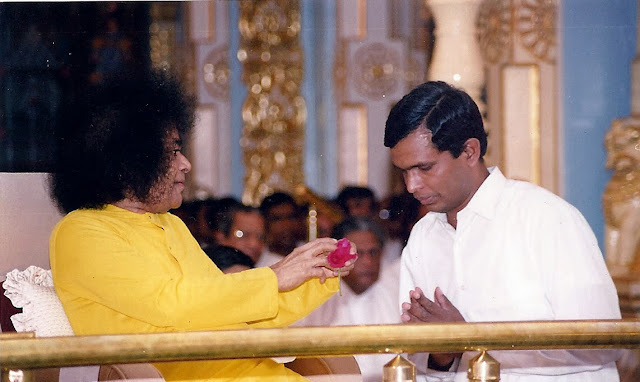 However, his parents had developed a deep interest and faith in a Guruji, His Holiness Swami Krishnadas at Vrindavan (Mathura), who had directed them to a certain Bhagawan Sri Sathya Sai Baba (Swami) at Puttaparthi in the state of Andhra Pradesh. The parents continued their spiritual pursuits under the guidance of Swami and Guruji, even as their family business grew. His elder brother, Sailesh Srivastava, had also taken after the parents in their spiritual inclinations and pursuits and had given up all the comforts of an aristocratic life to lead the life of a near-renunciant at Puttaparthi. He taught at the school of Sri Sathya Sai Baba. Thus, the trio felt that worldly pursuits - wealth, power, career and the like – were not the first priorities for life. That was the main reason why Devesh was heading most of the company affairs instead of his equally (if not more) brilliant elder brother. 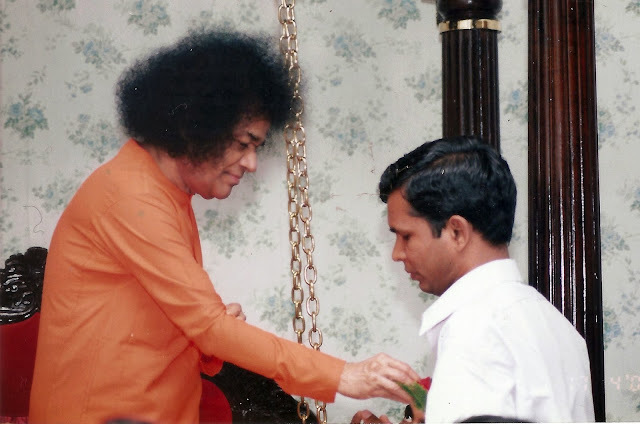 Devesh's brother, Sailesh Srivastava had dedicated his life in the service of his Swami - Bhagawan Sri Sathya Sai Baba. Devesh knew that familial attachments were not particularly binding on his parents and brother. He had often wondered whether anything other than the word of Guruji or Swami was ever binding on them. This was all the more reason why he worried about his wife and baby. He felt that he was possibly their only support in this world from his side of the family. Devesh could not see much but he knew that she was referring to him because the Sardarji came straight to him, opened up his long turban and began to bandage him to stop the bleeding. He could feel himself being lifted and being put into the back of the van. The long journey began and Devesh knew that he would not last the hour and a half needed to reach the hospital at Haldwani. In one of the large rooms on the first floor of the boys hostel in Puttaparthi, Devesh’s brother, Sailesh Srivastava was speaking to the students of Grade XII. He was delivering a Parayanam, a spiritual talk. Excusing himself, Sailesh hurried to the landline phone. It was his mother, Arti Srivastava, from across a few compound walls at the Sri Sathya Sai Primary School. Sailesh took a few moments to respond. Having completed the phone call, he went back thoughtfully to the room where the XII Grade students awaited him. He continued with the Parayanam till it was time to sleep. Before going to bed, Sailesh wrote a letter to Swami informing Him of the critical condition Devesh was in. He made sure to highlight the fact that his brother had received 180 stitches in the face and that the doctors were doubtful of his survival. The next morning, Sailesh went for darshan with the letter in his pocket. Sailesh responded to what Swami asked by delving in depth into the various songs that had been composed for the drama. 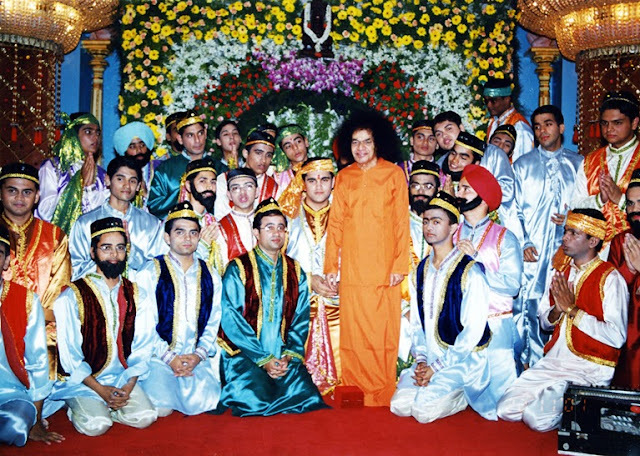 (By the way, for those readers that aren’t aware, Dr. Sailesh Srivastava has probably been one of the biggest influences on the Prasanthi Bhajan Group and has been instrumental in composing hundreds of songs, bhajans and qawwalis that have been sung in the Divine Physical Presence of Baba.) This went on for about 15 minutes. programme which consisted of several qawwalis he had composed. Sailesh was taken aback instantly. But then, his mind came up with a rationale to explain Swami’s seeming omniscience. “Humko Bola Bhi Nahi... Humko Pata Hain (Nobody has told me... I know it)”, Swami said. Once again, Sailesh just nodded. Now it appeared as though the Convocation drama had just been an excuse to get Sailesh into the interview room. “It was his bad karma (fruits of action in the past)... past karma... Otherwise I would have saved him like this”, Swami said snapping His finger. Sailesh nodded in the affirmative. “It is natural for a mother to feel so...” Swami said. Sailesh did not know how to react. The was the conversation had gone so far, Sailesh was not sure whether his brother would survive. Swami had said that as if it was a huge number. Sailesh resisted the temptation to tell Him that the actual number was far greater than that! Without speaking another word, Swami gave Sailesh a few packets of precious vibhuti to be given to his mother (who would reach it to the brother). Was it the Divine assurance of protection? Or was it a potion of strength to face the impending unfolding of events? Time alone would tell. The interview concluded soon after that. After the mandir session, Sailesh immediately called up his mother and updated her, carefully leaving out the ‘102 stitches’ part to ‘shield Swami’ from an apparent mistake. She said that Swami had permitted to leave for Delhi while returning to His residence. He had also indicated that He had spoken to Sailesh. More than a month passed. One day, as Sailesh walked out of the mandir, he was pleasantly surprised to see Devesh at the entrance, hale and hearty! His face did not look like it had undergone 180 or even 102 stitches. Devesh began his narrative which he had pieced together on the completion of his plastic surgery. Devesh had experienced unimaginable pain as he was placed in the back of the Maruti Omni van. Every little bump magnified itself into a jolt to his nervous system. But slowly, the pain began to fade and so did his senses. The first to give way was his sight. He could see only pitch darkness. Slowly, his hearing vanished and he was enveloped by a silence. The sense of smell and taste vanished after that. Finally, he was unable to even feel anything. Sailesh listened in rapt attention. It was almost unbelievable that he was hearing these words from his brother who was ‘worldly’ in every sense of the word. Devesh confessed that when he had been forced to learn the Gayatri Mantra in the Bal Vikas classes, he had never thought that it would be the thing that would come to his rescue while facing death! Devesh began to ‘chant’ the Mantra internally for none of his senses were functional. Instantly, a peace descended on him. By the time he completed the second line, he witnessed an unbelievable miracle. The back of the Maruti Omni van transformed itself into Prasanthi Nilayam. Right at the center was the beautiful and effulgent form of Swami. Swami was smiling, raising His right hand in the Abhayahasta (bestowing fearlessness) pose. What Devesh experienced then is inexplicable. Intense peace filled him completely and seemed to even radiate from him. He continued to chant the Gayatri Mantra. By the time he completed chanting it thrice, the vision vanished and all his senses came back suddenly. The van also came to a halt and he realized that he had reached the hospital! The entire journey of an hour and a half had been compressed into three Gayatri Mantra chantings! Devesh then went on to narrate the story of his surgery and amazingly fast recovery. He made it a point to mention how painful the experience had been. “In fact, the anesthesia pricks were so painful that I requested the surgeon to stitch me up without it!” Even as Devesh said that, he seemed to be bubbling with newfound energy and faith. Sailesh’s jaw dropped. He wondered at the power of Maya that had stopped him from telling his mother that particular detail. In that thrill, he narrated the entire interview to his brother, stressing on how Swami had told the correct number of stitches that were needed. (Manas and Vivek who were the other two people in the car escaped with minor injuries. It was only Devesh who had been badly injured. When we comb through history, we come across the lives of many saints, sages and people of God that seemed to attract adversity always. It is not a coincidence for they realized that adversity is a blessing in disguise. It is an opportunity to turn away from the fleeting world towards the ultimate permanence that God alone can confer. It had been the case for Devesh too. Though he did not actively seek adversity, the greatest tragedy of his life transformed itself into a watershed in his life. It brought his nearer and dearer to Swami. of the title - "Swami Guruji and I" - available at the book store in Prasanthi Nilayam. “But Swami, I am already married!” Devesh appeared puzzled and Sailesh was at a loss for words. “I will give you a son”. Devesh was thrilled at this blessing. Devesh had received the greatest gift from Swami - the gift of life. Nothing would shatter his faith. “It will not and it will definitely be a boy...”, he replied firmly. This in itself was an unbelievable change in Devesh according to Sailesh. However, multiple tests were done and it was confirmed that Manisha indeed was carrying a girl child. That was the birthday which reinforced Devesh’s faith. Today, Devesh Srivastava is a highly successful professional. He founded IIJT in 2006 and was its CEO for 4 years before seeling it to Team Lease. He was also the regional director for IIHT. As of 2016, he is the director of Comac India Pvt Ltd. along with being the Chairman and Managing Director of Greenesys Integrated Solutions Ltd.
More than any of these, he however realizes that what ultimately matters in life here and hereafter is God and God alone! Hear Dr. Sailesh Srivastava narrate this entire episode in 14 minutes! Sairam thank you for such inspiring experiences. Yet another moving story of Swamy's love for His devotees....if i may ask the status of his other two friends in the car? Oops!! I missed mentioning that. They were not as badly injured as Devesh. They survived quite comfortably. Thanks to you, I shall add this to the blog right away. No words re Swami's LOVE...I am assured HE is there for all of us. Pray we deserve HIS Grace! Please continue to send your messages. Thanks and Sairam! Please keep sending such inspiring Swami's experiences to all. Greateful for your service! Sairam. Sairam Aravind and thanks a lot for another narrative of SWAMI's leela and compassion. Sairam Aravind. Immensely grateful for yet another wonderful instance of the Omnipresence, and Mercy of our Lord. Sairam. Goosebumps bhayya!! I was so engrossed, forgot myself while reading the experience. And now it will take some time for me to come out of it. Beautiful! Sairam! Adds a lovely framework to the songs from the depth of devotion by Brother Shailesh which we enjoy so much, every time! Thank you Brother Arvind. Sairam brother. Thanks for sharing it. Is Sailesh Sir's book available online? What a lovely way to start the day today by reading your blog on Mr Devesh and Mr Sailesh......really Swami's grace. How i be able to replay it or download it? It just crossed my mind that I could ask you! For the drama, please go to the audio search on the left hand side of the radiosai.org website page. There, search for the keyword "Bali". It will throw up all relevant files and you can download the one you are interested in. Dear Sai Ram brothers and sisters, my father is admitted to a hospital and doctors say that his condition is very critical hence I would be highly obliged to each one of u if you please pray to our bhagwan Sri Sathya Sai Ram to bless my father with speedy health recovery.